Surprised nobody has brought up Dokkan Battle at all. It's a free to play (With in app purchases for in game currency, which it's decently generous with) mobile game on iOS and Android I believe. It's been out for a bit in Japan, but just last week if I recall came out in the US app store. It is a game not unlike Puzzle and Dragon if you are familiar with that. However the battling system is completely thrown out the window! I only compare it to PaD in the respect that it's a gashapon game where you spend in game currency to roll the dice on what character you get, then use those to battle with. You also can fuse them together to level them up (Training) and use special 'Medals' to evolve or 'Awaken' the character. Granted in Dokkan Battle you can only upgrade the character once, but it's a very similar mechanic. In this game though the matching is a lot easier to start with, and the skill ceiling is not nearly as high as PaD, but knowing how the orbs will move is definitely something that you can get better at. I just found out about this yesterday and have been re rolling all day. 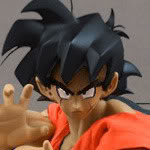 i want a super saiyan 2 goku or bardock. I got 2 super saiyan gohans! I have a SSR* Agi 18 on my iPad as a leader, and SR Str Frieza on my phone. Don't believe there is trading in this game. There hasn't really been any in any gachapon style game. The best use, since you cannot have 2 of the same card on a team is to feed one to the higher level one that you have. It will level up it's super attack. they are in two separate accounts. i would give the account to a sub,. It's pretty decent has a lot of characteristics I like in a card type game. You really just want certain characters. I am having terrible luck with this game. I have used about 180 stones and no ssr has dropped. That last 100 stones only gave me 2 sr. The first 50 gave me 4 sr out of 10 which is great. Anyway, only got Bardock from the Bardock event. Got most of Bardock's team from Summons, but no Fasha (I wanted her the most by far!!) And my incomplete Bardock team with Raditz and Nappa got me strong enough to beat King Vegeta, but the RNG is terrible for getting him, so...I didn't. The Piccolo Jr. strike event is...meh. Hard to beat him on Hard and I just don't care enough. Currently trying to save for a Multi-Summon to get Fasha, but I doubt I'll get that lucky. I like the game. I've been playing it around a month or so I guess. Currently my main leader is Zarbon who I've upgraded to SSR and I think I'm level 61 with him. I got a a zarbon as well he is great!!. kaiokenx108 he isnt too hard to beat and the drop rate is high ive gotten 12 of them lol, im still farming for cyborg tao. I'm just happy I ended up with an R Yamcha I was able to turn into SR. But disappointed you can only awaken them one time. I wanted to turn him SSR but nope! Slightly off-topic, but gotenks I'm furious I spent so much money (and so many dragon stones) trying to get Janemba. Seems like EVERYBODY who did the same got Gogeta by doing the summon I ignored. I really wanted Janemba . On the bright side, about 20 of my "friends" in the game have Gogeta, so I get to partner up with them on almost every battle. But still. I spent so much and didn't get Janemba or even Gogeta as a consolation prize. Blah. I lucked the hell out on Dokkan Battle recently, got Janemba, Gogeta, Agi SSj3 Goku, Agi Kid Buu, PHY Ultimate Gohan, and a few other random decent duders. I had horrible luck, and then apparently spent it all on this latest set of banners. drowningrabbit For the first 2 seconds after reading that first sentence, I absolutely hated you just now LOL. Now I'm just happy to see somebody actually got the good stuff. I've been playing about a year and have 165 characters, so I've been playing a long time. My top characters are blue card SS3 Goku, level 120; purple card Perfect Cell, level 120; green card SS3 Vegeta, level 100. No Broly, no Gogeta, no Janemba, no kid Buu. I'm at log in day 361, looking forward to the 365 login bonus. I've missed logging in a few days, but have been playing for like ayear as well. Here is my not yet updated box: dbz.space/box/DrowningRabbit I can't remember my password though, so I can't update it. I've Dokkan Awakened Kid Buu, Gogeta, and SSj3 Goku as well. I have dumped about $100 into the game though over the course of the year. I haven't missed a single day yet. There were a few months where I only logged in and didn't play though. I don't know the number of days. I'll have to wait until 7pm to find that out I guess. How in the world did you make that box thing? Where did that come from?! It looks so cool! What is this sorcery...?! I've definitely dumped over $100 just from needing stones to continue fighting some of the bosses. I usually do the $3.99 purchase just because it's slightly cost effective. The only problem is when I do that 5 days a week haha.